Cabhit provides airport transfers cheaper than you find with other service providers, up to 35% less than normal cab cost when you pre-book or reserve your taxi and cab through web or app. HEATHROW, England - July 31, 2018 - PRLog -- Cabhit is a price comparison site for taxi, cab or minicab booking in UK. Cabhit has a wide network of taxi operators throughout the nationwide. When you search for the taxis & cabs travel in London, moreover UK airport transfer, booked online include fixed price. Get best 10 quotes from local companies, compare the taxi prices and book online. Select the cheapest fare that fits your requirements. You can do all of this in one place with Cabhit. Consequently client has a choice to pick either by rating, cost or area of the taxi operator. Cabhit provides airport transfers cheaper than you find with other service providers, up to 35% less than normal cab cost when you pre-book or reserve your taxi and cab through web or app based booking service. The site is completely incorporated with the taxi operators nearby. This means whether you book taxi online with one of the provider, confirmation goes straight to the company you've picked and you can even print out the receipt from your mobile. As the transfer is done by means of an online procedure, you can rest guaranteed that the taxi firm has received your request for the day you've specified. Cabhit Director said, "Our main aim is to provide work to local taxi operators who are currently facing tough time with Multinational mobile taxi app. We are a team of professional operators working together to give the best service our customers need when booking a cab or taxi. With our years of experience in the cab industry, we know exactly what standard of service is expected by both operators and clients. As technology is developing and the focus is shifting online, we feel the time has come to change the way customers can carry out bookings. We have taken this initiative to introduce an online-based booking platform, saving our clients both time and money. Instead of calling different operators in area and inquiring about quotes, we allow them to easily view different quotes on one platform before booking the operator of their choice." About Cabhit: Cabhit, one of the UK's leading licensed Taxi Cab operators network offers instant taxi fare quote for any type of journey and occasion. 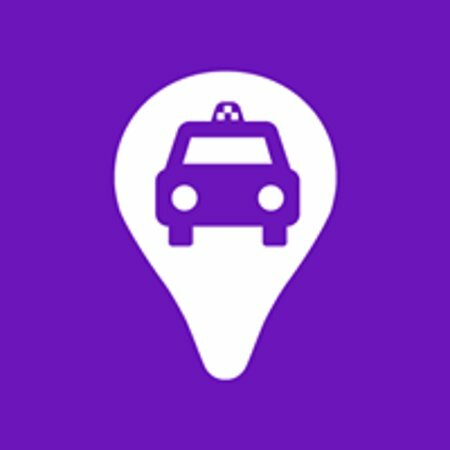 Find the best cab price and make a booking online. Book cheap taxi & cab and make your journey with comfort and ease via booking your cab with companies distance away. Also, get a service such as a car with a child seat, booster seat or are traveling with disabled passengers, you have to make a note of this when you make your booking in the additional comments box which is on page filling the personal details.